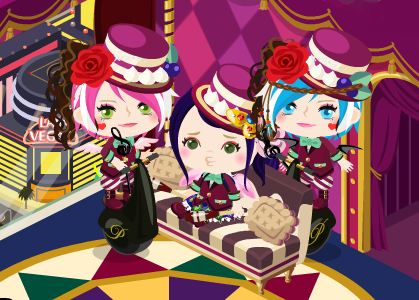 Royal Diary: [New] Casino Challenge and Lucky Perfumes!!! [New] Casino Challenge and Lucky Perfumes!!! Have you heard it?! Another Casino Cheat is here! And as of the released casino cheats, I think this is the best one! Also, there's a new campaign in Las Vegas! Just like on Ameba Pigg, Ameba Pico finally adopted it! The campaign which you could earn stone,casino dollars, decors and outfit! Together with our lil sis, Mackenzie wearing the Étoile Style Sweet Outfit! Vegas Limited Sweets Lamp as a prize! Isn't that great? Now let's go to the sloooot!!! azing blog you have here, i'm sure this can attract lots of readers over the net for the cool write up. Keep it up. Please click this welcome to casino. the best casino online For Play Casino Games and Free trial. Via website and mobile Anytime Anywhere.